There are many excellent organizations working to make our communities stronger by meeting specific needs. Our hope is that if you are part of one of these organizations, you will take the steps to encourage your organization to partner with Resolution: Kindness. In the work in which you are involved, you are already ambassadors for kindness. We are hoping that you will partner with Resolution: Kindness to multiply the impact of not only what you do, but to see the further development of kindness in our communities. 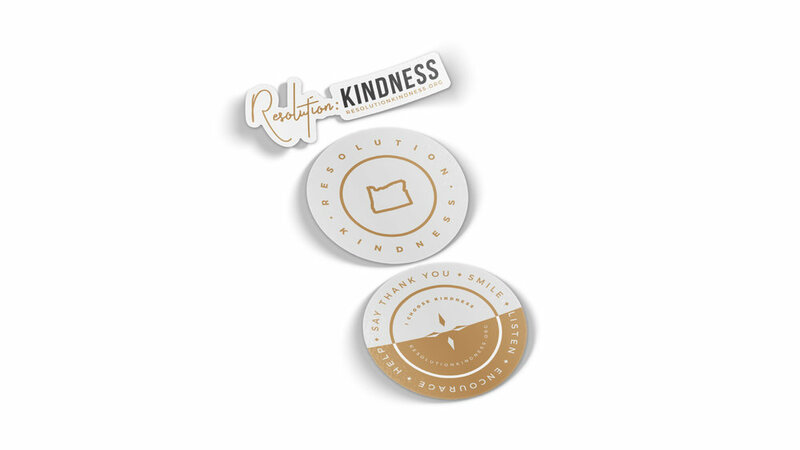 By registering with Resolution: Kindness, you will not only be recognized as a supporting partner, but through this partnership, doors will be open for you to be involved in helping support and encourage the spread of kindness in our community. As a network of businesses, churches, organizations, schools, and individuals, we can work together through simple acts of kindness to bring a common expectation of decency and value for our neighbors. Thank you for making our communities stronger and joining the Resolution: Kindness team. Please complete the form below to be listed as a supporter, then follow the link to get materials!